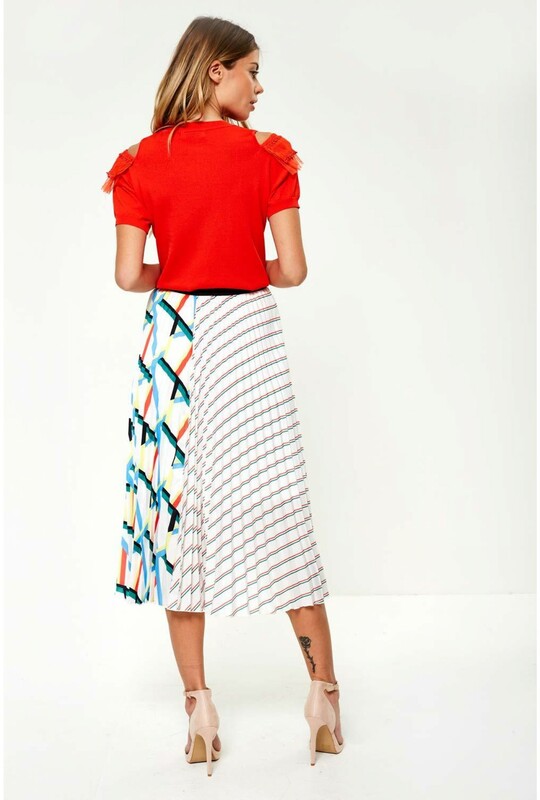 Make a statement in this striking geometric print skirt. In a flowing midi length and pleated design, team with simple tops and classic court heels. For more contemporary looks browse our Boutique collection.